To promote the Nave Gallery's Wrap Around Project and the work of the Somerville Homeless Coalition, four trees in Powederhouse Park will be yarnstormed. Each tree will have a social justice theme and an individual color scheme. Inspired by mosaic, The Caring Forest is based on the construction of the pieces on multiples of 4" (4"x4"; 4"x8"; 8"x16"; etc). Squares and rectangles--plain and elaborate--in acrylic yarn are needed. With recent predictions for a significant El Niño this season, questions and concerns are raised that investigate the tenuous balance between humanity and the natural environment. 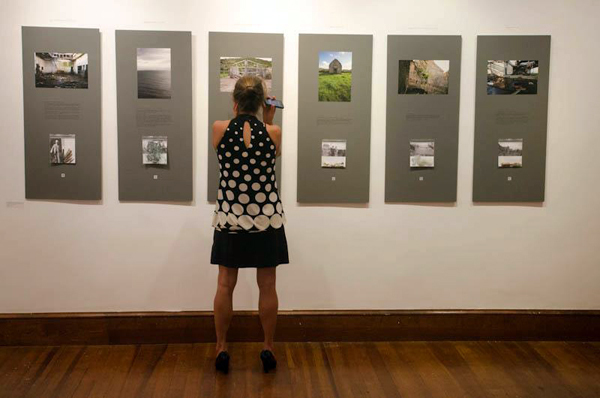 The Nave Gallery Annex seeks submissions that address a range of environmental issues including: conservation of "place", sustainability of ecosystems, and topics related to global warming. The Nave is currently accepting proposals for group exhibitions in 2016.